Ready for Thanksgiving and the long weekend ahead. Talking about thanksgiving, it is very important to spend the day in comfy clothing and one that has room to hide my food bump afterwards :). I will be spending the day in something similar to this; an oversized sweater and some comfortable pants. 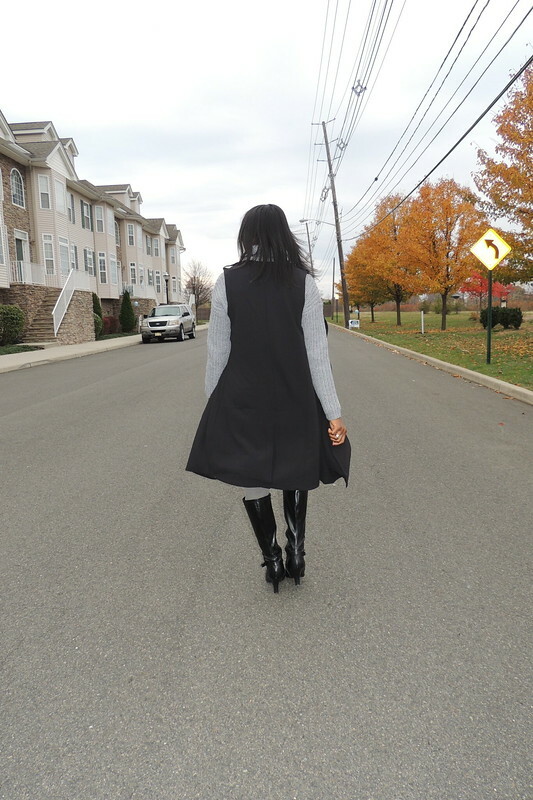 To dress up this casual ensemble, I added a long vest and knee high boots. Happy Thanksgiving and enjoy your time with family and friends! Always looking lovely dear…love the grey.